It would be a cardinal sin to presume that all science, cold and hard as it can be, is the stuff of fluffy paradigms, knowledge constellations that are pure speculation and subject of postmodern dismissal. It is all fine and good to question gravity as a relative, imagined concept till you step outside the window of the fifth floor to test the theorem. That all said, science is not immune to trenchant lobbies of interpretation that resist revision, opponents and revisionists. The dogmatic high priests of the beaker and test tube tend to be furrowing away, and will make a point of keeping things as they are. No alternatives are allowed. When people get hold of science, the superstitions are not necessarily far away. The medical profession has famously killed a good number of human beings, largely based on the assumption that it knew the healing truth and treated its subjects accordingly. The old argument, suggested through time, is that a doctor is as capable a killer as any well armed general. It is that context we find ourselves in, a battle of certain, dogmatic quacks in a continuum of maladjusted quackery. There are those doctors who feel that any form of treatment that avoids manufactured drugs is fundamentally wrong, a problem that often finds itself in the uncomfortable realm of pharmaceutical sponsorship. If you are ill, a chemical rebalancing is required, with the blessings of big Pharma. The homeopathic retort to this resorts to other forms of cure, some of them equally quack-adjusted. Everything that Ohio-based Dr. Sherri Tenpenny has been involved it suggests how medical science, and the way it is subsequently deployed in broader public debates, can become political fanfare and militant insurgency. The veteran osteopath has busied herself with one campaign for years: that against vaccination programs. The bulk of her views can be found in Saying No to Vaccines. While her views are those of a concerned quack, she is finding other quacks insisting that she is a vile imposter, an individual who is determined to deny science in the name of killing people, notably helpless children. This has come to the fore with a promise by Tenpenny to deliver a series of seminars in Australia urging parents not to vaccinate their children. Tenpenny is hardly one of those who is willing to add to the inventory of the morgue, but because she doesn’t tend to conform to the standard high priest code of medical science, she is bound to be a pariah in chief. A glance at her various opinion pieces over time suggest an understandable concern about the way the vaccine industry is manipulated. Where corporations meet vaccine production, gaming is bound to happen. 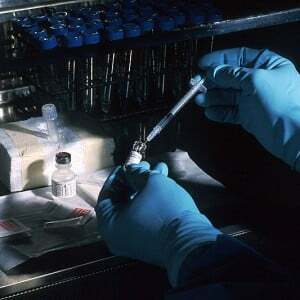 There have been concerns, for instance, about the use of injected animal cells. “No matter how careful manufacturers try to be, animal cells, animal DNA and culture contamination viruses end up in the final vials,” wrote Tenpenny for The Huffington Post (Mar 18) in 2010. The concerns there were directly connected with arrangements made between Novartis and US authorities. Much of Tenpenny’s insistence is on choice, or at the very least, the battle over choice. Her detractors, ignoring the problems in some vaccination programs, have already made the choice for the prospective patient: vaccination is required and good, and all, therefore, need it. All those who resist are heretical at the least, murderous at the worst. There is, in other words, no room for contest. The language from Australian critics of Tenpenny, who have begun something of a school ground spat against the entry of an individual into Australia to speak about a topic they disagree upon, suggests how barrel scraping the exercise has become. Their assumption is childish at best: a person is suggesting a contrary view on vaccination, and for that reason, ought to be canned, bagged and prevented from having a say on the blessed island continent. For that reason, she is a co-commander of the league of death, spreading woe among the community. “A dangerous person is coming to Australia,” came the shrill pronouncement from Amy Stockwell on the site Mamamia (Jan 4). On getting to Australia, “She will spread a dangerous message.” On sounding like the defenders of the ultimate censorship regime, the author actually adds jest to the Tenpenny argument, showing how such dogmatism is precisely what we do not need in the medical debate. Naturally, the other side of the campaign against the likes of those who feel that there are problems with centrally administered vaccination programs lies in attacking the homeopathic industry, which does offer an alternative, however kooky it seems to those in big pharma or the medical orthodoxy. Jeremy McAnulty, Acting NSW Chief Health Officer, is clear that, “Homeopathic medicines do not provide protection against diseases such as whooping cough, measles, diphtheria, and meningitis. People who receive a homeopathic vaccine should not be lulled into a false sense of security that their children are protected” (Daily Telegraph, Jan 4). The continuum of quackery and the hysteric reflex coming out of those who refuse to allow a medical practitioner to give seminars in a distant country says much of the featherweight types who see rules of visitation as rules of exclusion. Down with the quacks, it seems and up with the others!